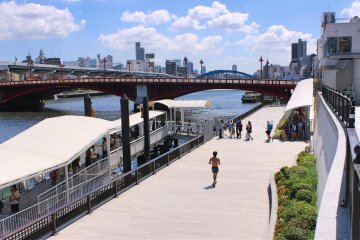 Nishiyama Park is an expansive park where visitors can immerse themselves in an oasis of nature. 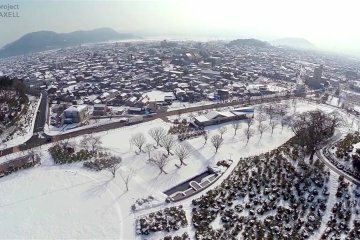 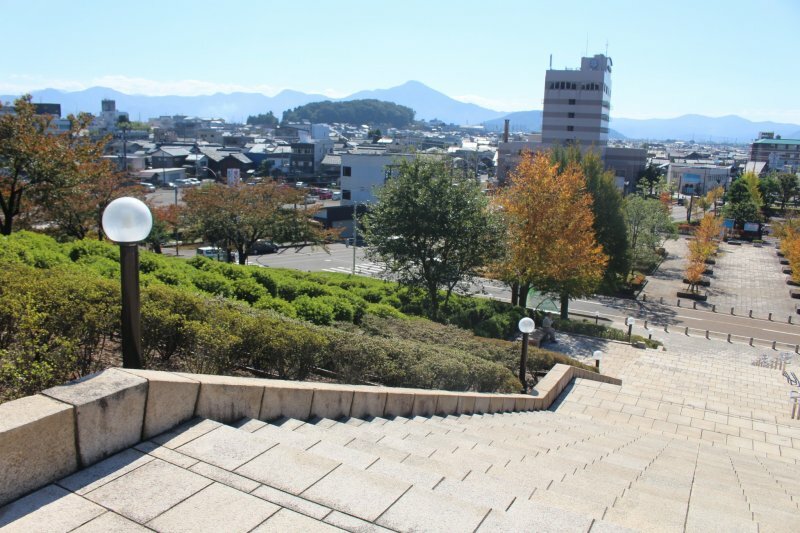 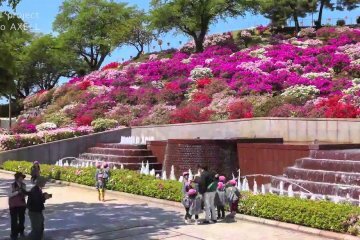 Located in the heart of Sabae City the park is quite a rarity for a city of this size and one of the top destinations in all of Fukui Prefecture. 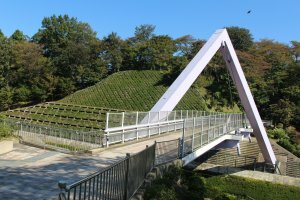 The park dates back over 150 years when the 7th lord of the Sabae domain, Manabe Akikatsu, set aside an enormous area of land for landscaped gardens and groves as a rest and relaxation area for the common people. Since the foundation of the park, the citizens have organized to build and expand to the park as a community. 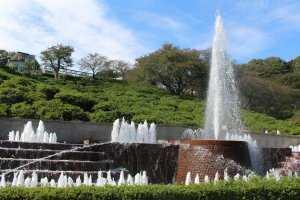 Up until today with planting efforts city-wide, the park has over 50,000 azalea trees, 1,000 cherry blossom trees and 1,600 maple trees. 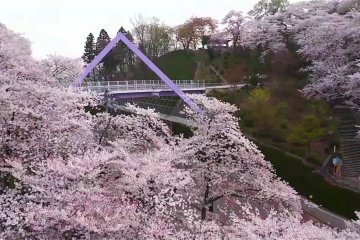 The striking variety in the cherry blossoms during the spring and maple trees during the autumn are especially beautiful and popular for visitors from all over the world. 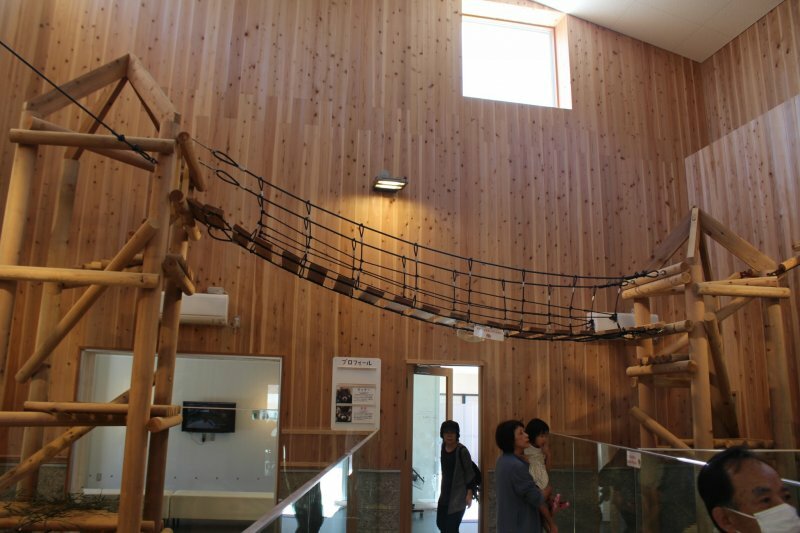 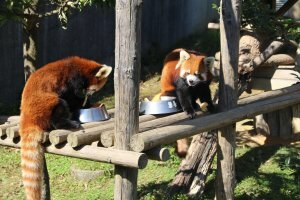 Nishiyama Park also includes Nishiyama Zoo which is home to a wide variety of animals, featuring the cute and playful red pandas, or lesser pandas. 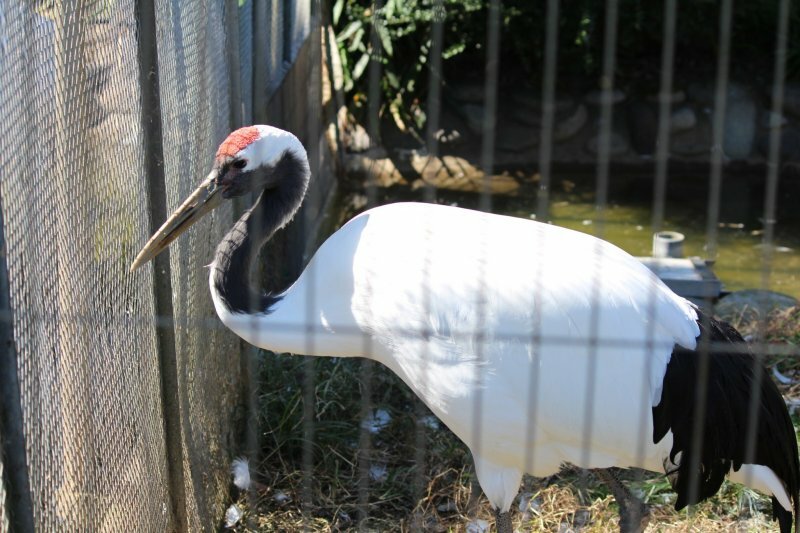 The zoo area blends in well with the park and has three types of monkeys that can be found swinging around playfully as well as several exquisite species of birds. 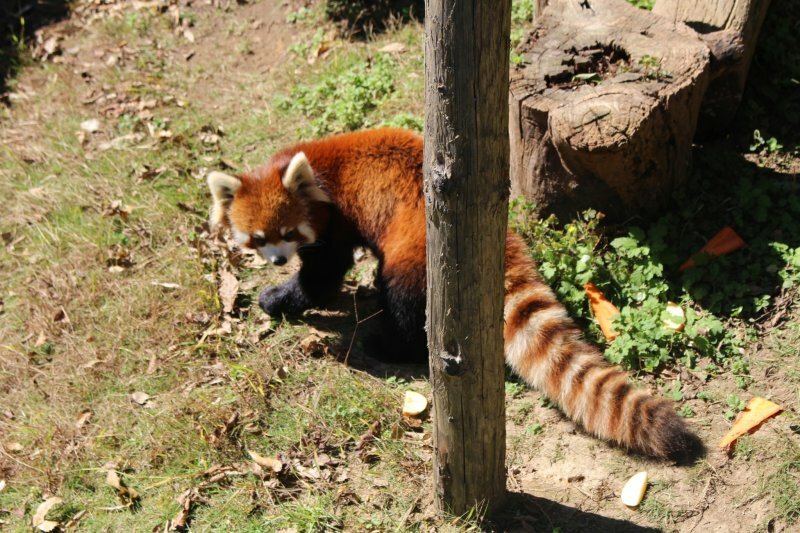 The red pandas are far and away the highlight of the zoo and there are no less than six different areas for the pandas to play including several outdoor areas and an indoor playground area where the pandas playfully climb and jump above visitors heads. 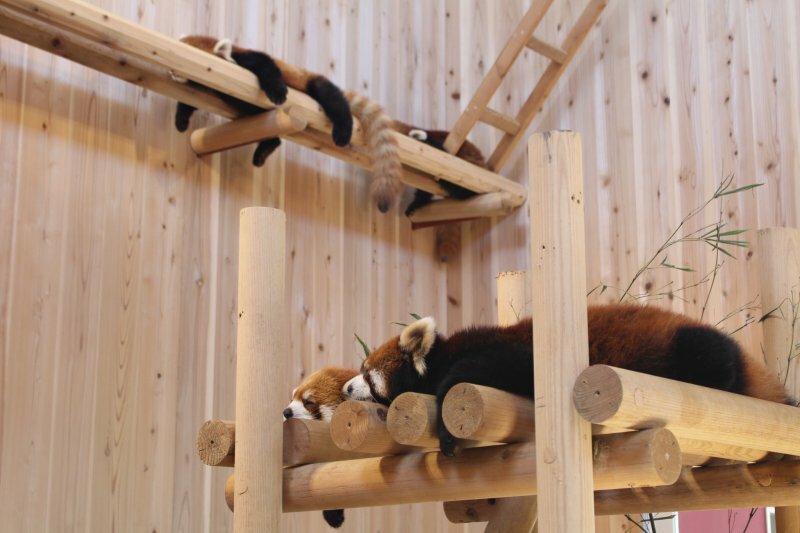 The red panda center also includes educational information and visuals in the form of large wall murals and infographics. 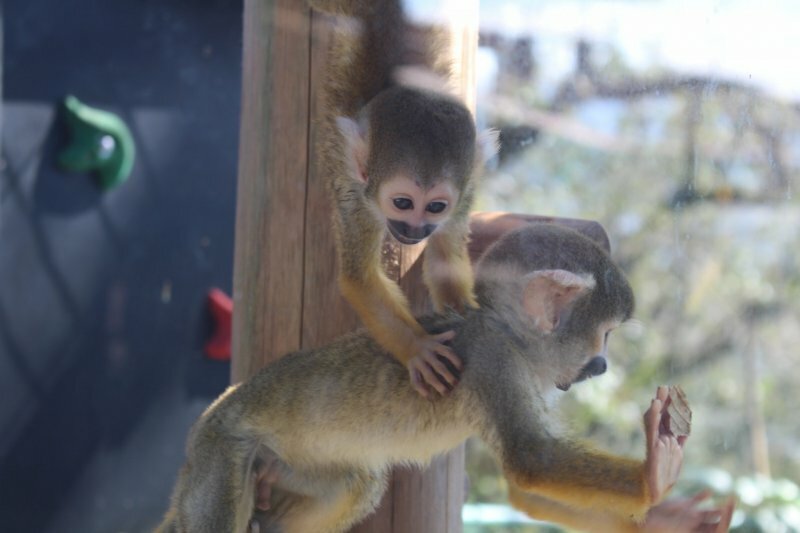 The zoo is open from 9:00am to 4:30pm (last admittance) and typically closed on Mondays. 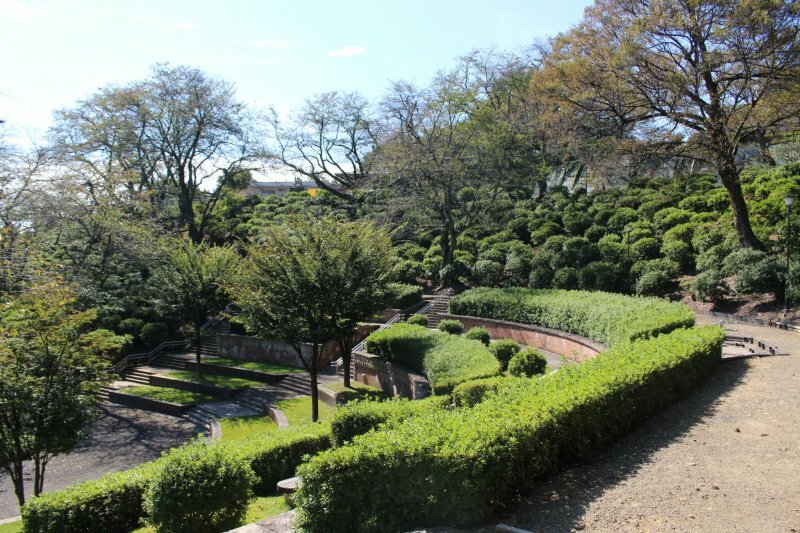 Walking through the park itself can take hours if you choose to fully immerse yourself in the area. 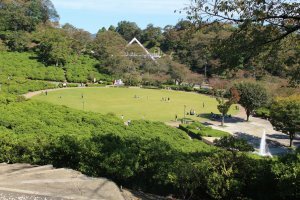 There are open field areas, an amphitheater, shaded paths through trees and plenty of outdoor exploration opportunities for those looking to get some exercise. The park is large enough you can easily find places of silence and solitude decorated with traditional statues and the like, but towards the central areas there are plenty of places to congregate with visitors having picnics, playing sports and generally enjoying the land as it should be enjoyed. 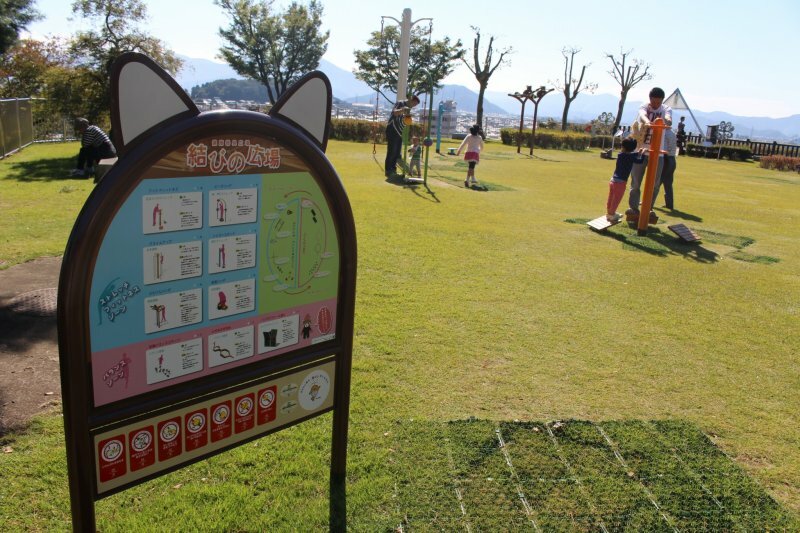 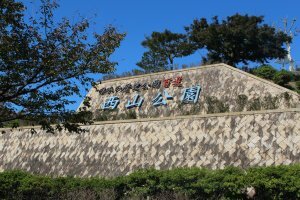 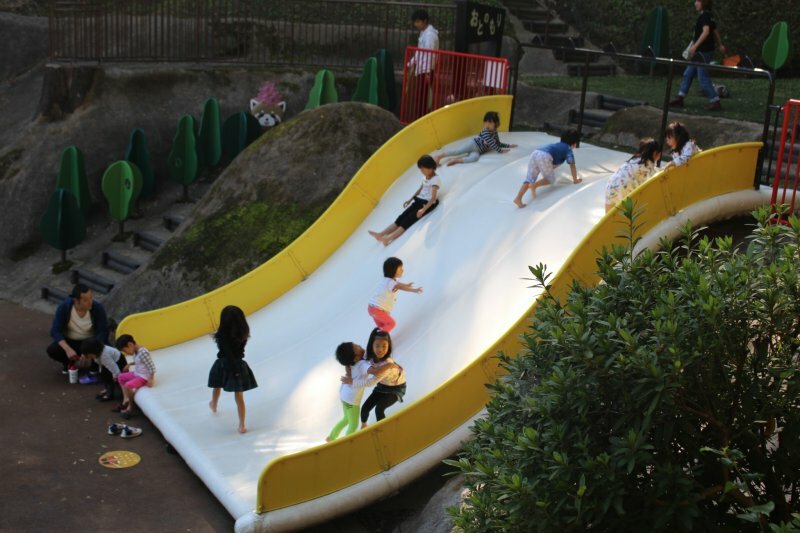 For children, there is an incredible free playground and park area called Pandaland just down the hill from Nishiyama Zoo. 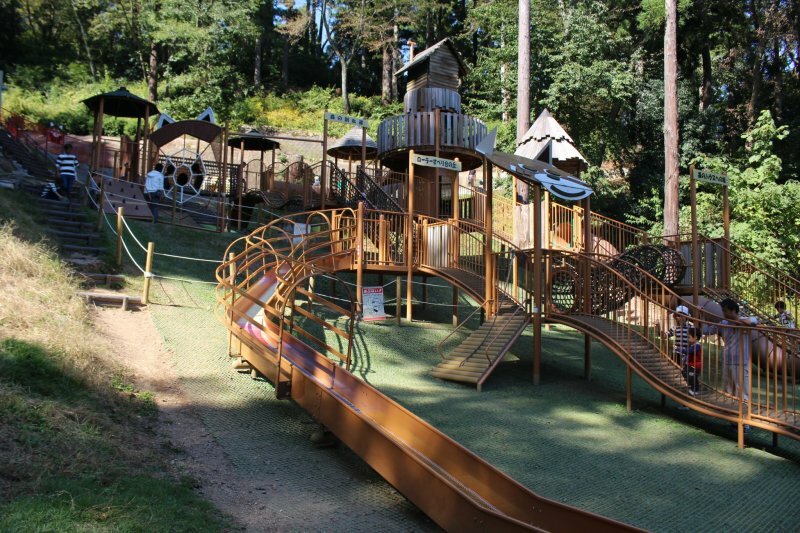 This spacious area is made up of numerous obstacle courses, forts, and climbing areas sure to exceed the expectations of any youngster. 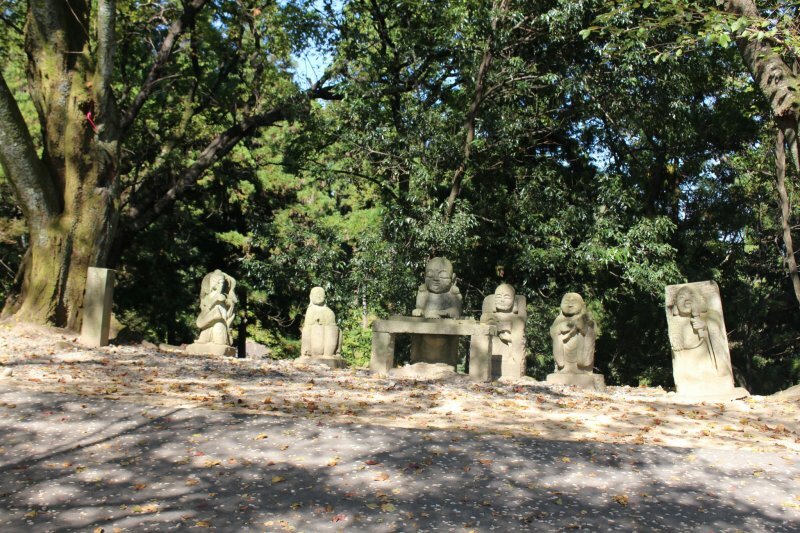 Within walking distance of the park there are a few areas of interest. 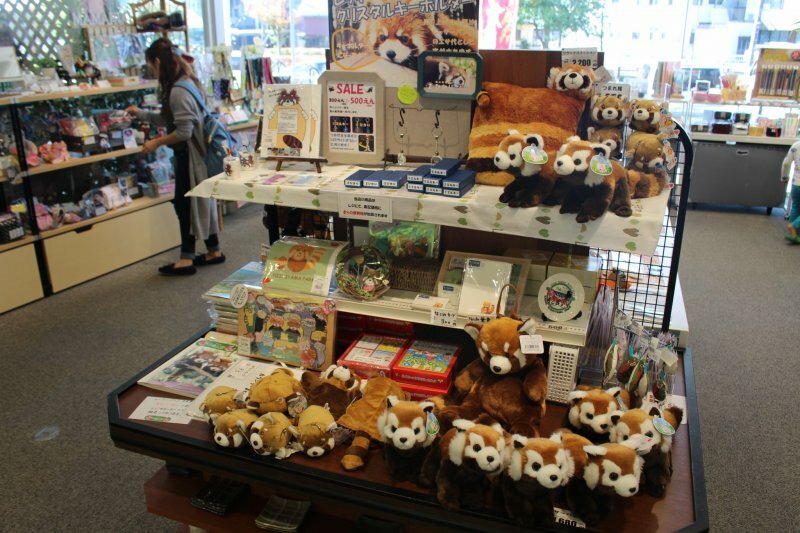 At the entrance of the park is a visitor's center with drinks, snacks, souvenirs and more focusing on the theme of the red pandas. 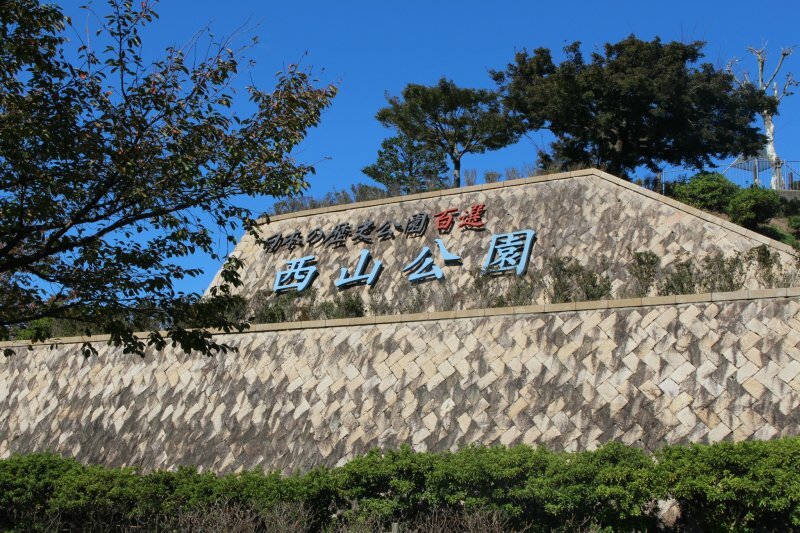 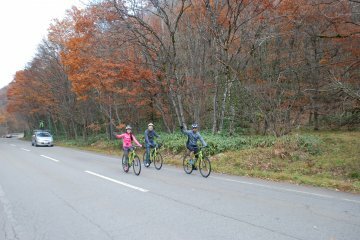 There is also a great local place to stop for lunch called Europe-ken. 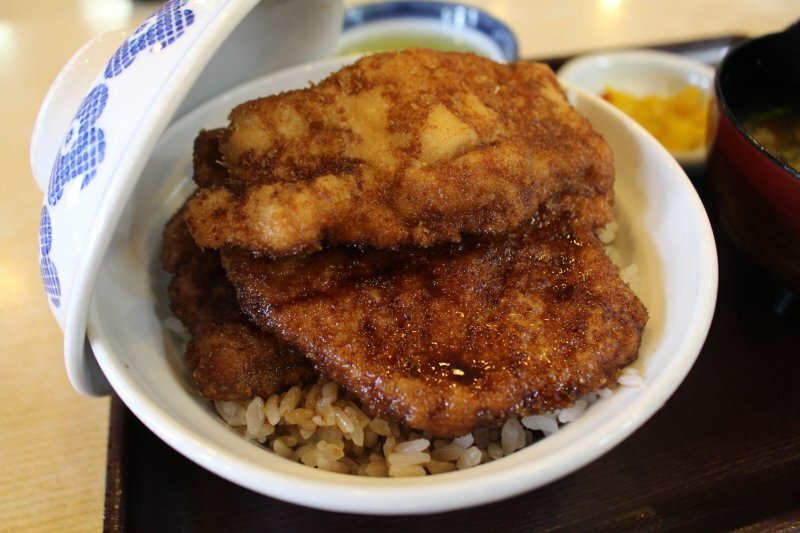 They specialize in katsu-don (fried meats over rice bowl) dishes. Prices are around 800–1000 yen per dish and the portion sizes are quite large. 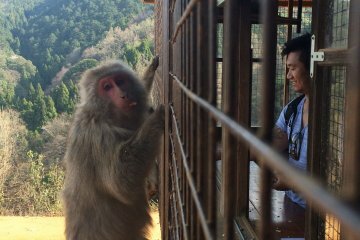 COO and avid traveler for Japan Travel. 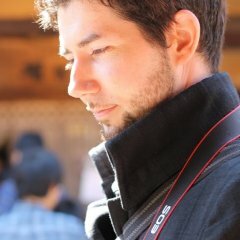 Originally from Texas, moved to Japan ten years ago. 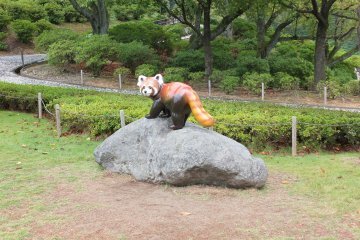 Feel free to contact me at geoff.day@japantravel.com. 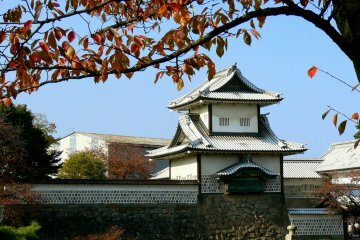 Kanazawa Shore Excursion for Cruise..
Takayama, Gero, Magome Bike Tour..